From newborns and infants, to adolescents and young adults, we believe children should have the healthiest foundation for a happy life. And, it’s never too early to bring your child to us. 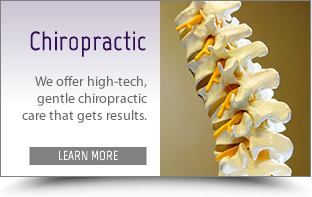 • We offer high-tech, gentle chiropractic care that gets results. 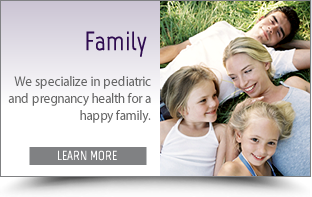 • We specialize in pediatric and pregnancy health for a happy family. • We have a passionate, professional team ready to help and support you. you love to do, while feeling great. Dr. Joe on America Now! You the man Dr. Joe, no seriously. I have been to almost a dozen chiropractors in my life and Dr. Joe is by far the most skilled of all of them. He has an ability to fix issues for me to a MUCH greater depth than any other chiropractor who has worked on me. I consider him to be the best Chiropractor in the Charlotte area for sure. So do my immediate family and extended family members that have the privilege of being under his care. Was never a big believer in chiropractic care. I am now a believer and enjoy my time with my family virtually pain free. Dr. Joe is an awesome person and takes very good care of his people. Dr. Joe has been a lifesaver for my whole family! Dr. Joe are nothing short of a miracle!!!!! Thanks for the fine and helpful service you render. My treatment has made vast improvements to my neck and hip pain. It made a believer in chiropractic medicine out of me. Because of the care I received during my first visit I was able to resume normal activity the next day without pain. As a stay-at-home mom this was tremendous and I am grateful to have found this practice. I am very thankful for the kind help I receive from everyone in the office! Dr. Joe and his staff are very professional and very knowledgeable. If you are looking for a chiropractor, I highly recommend that you give this place a try. Thanks for helping me be able to enjoy life! My family is addicted to Dr. Joe’s care! Have been using chiropractic for over 40 yrs. Best group I’ve ever met. Love the sense of teamwork. Dr. Joe is the best chiropractor I and my family have ever had. My health has improved dramatically. I highly recommend him. Dr. Joe is so good I drive over an hour to see him. He’s the best.